Home | Recipes | Weight Loss | How to control your weight with: Soup! 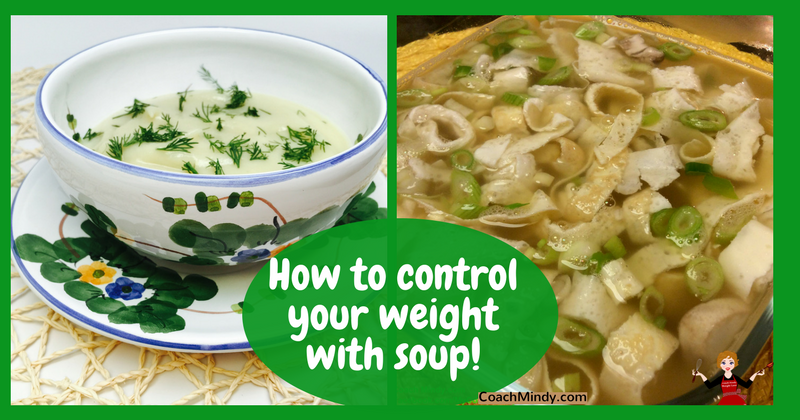 Do you know how to control your weight with soup? 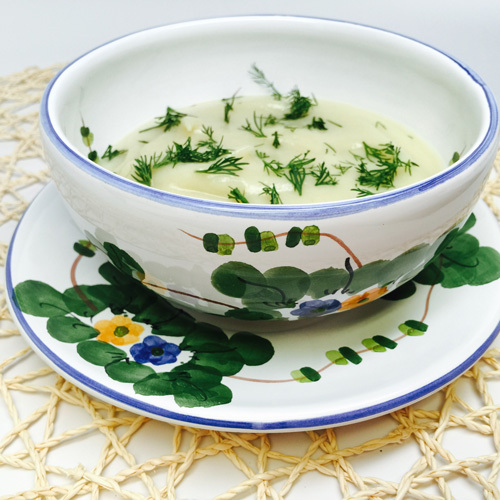 Soup is a great tool whether you are focusing on losing or maintaining your weight. Soup is warm, flavorful, and satisfying. It can take the edge off your appetite before a meal. Soup can be part of your meal. It can fill you up. There are many options; however, choice is important. 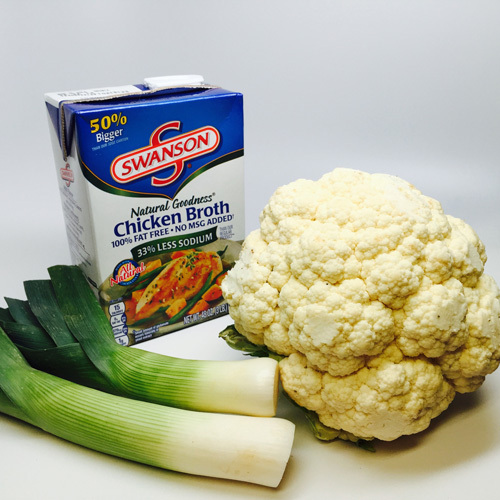 – 1 carton chicken broth, 48 oz (I like Swanson) or homemade. 1. Place the chopped leeks (white portion) in a large soup pot. Add 1/8 teaspoon of salt. Add chicken broth to just cover the leeks, and sauté until they soften a bit. 2. Place cut up cauliflower in the soup pot. Add the remainder of the chicken broth with ¼ teaspoon of salt and 1/8 teaspoon of white pepper. Bring to boil and then simmer until the cauliflower is cooked through and very soft. 3. Let the soup cool a bit. I like to use a Vitamix blender which will make the soup very smooth and creamy. You could also use a hand held stick blender (immersion), which will make a chunkier soup. 4. Using a slotted spoon place the cauliflower and leeks into the blender. You might need to work in batches. If the soup is too thick, use some of the broth to thin it out. 5. Garnish—I like to use dill. Enjoy! 6. The leftover broth is full of flavor. I put that in a separate container for another use. If you miss having pasta noodles in your soup, the next recipe might be of interest. 1-2-3-Egg Noodles. So very simple to prepare! Procedure is quick and easy. 1-2-3! 1. Beat eggs, water, and salt. Heat a crepe pan or non-stick skillet sprayed with pam. 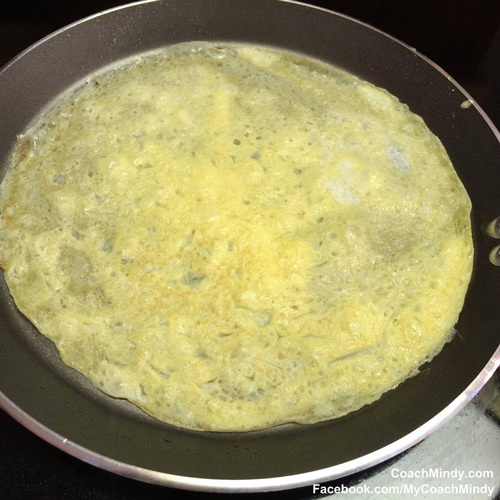 Pour 1/4 cup of the mixture in the pan and turn the pan to evenly coat the egg mixture over the bottom of the pan. When set, gently turn the mixture (which looks like a crepe) and let the underside cook. 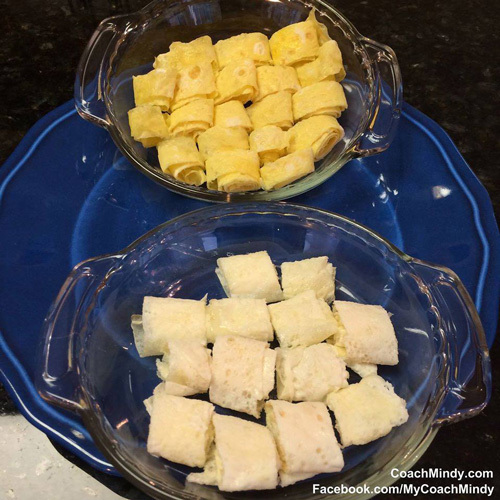 When done remove (crepe) to a plate and cook remaining mixture the same way. 2. Let crepes cool and roll tightly. 3. 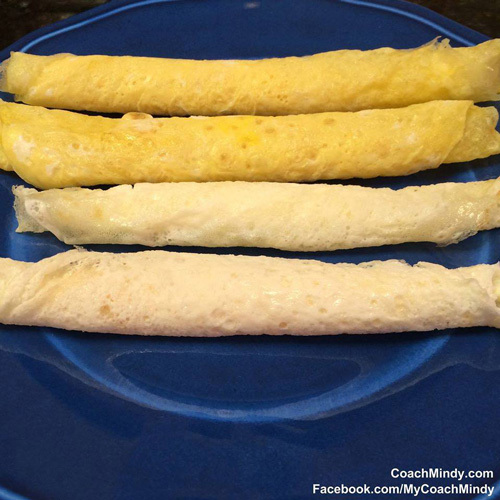 Cut crepes into slices about 1/2 inch or to your liking. I like to use Swanson Chicken Broth. In this recipe I used one 32 oz. carton. Of course, homemade broth is always an option. I added two cups of chopped mushrooms to the broth. 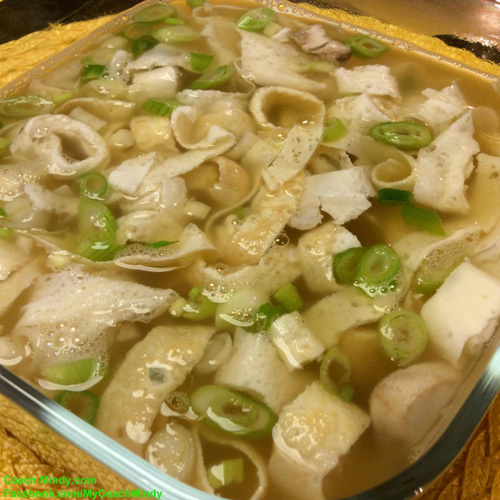 Putting it all together–Heat the broth and mushrooms and then add the egg noodles. Garnish with scallions.